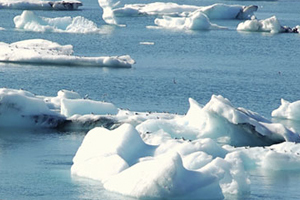 With exploration companies wanting to explore in Arctic regions Astrium Services is now mapping and monitoring ice flows and bergs to support exploration activities in ice prone regions. Mapping and monitoring services ice flows and bergs to support exploration activities in ice prone regions. Typical products include GIS and map products with statistics showing berg location and concentration. Seasonal trends can be identified from this, and risk assessed. High resolution satellite data is ideal for locating smaller bergs currently not mapped by large ice monitoring projects.